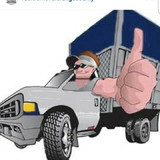 Junk King is the #1 Rated Junk Removal Service in North America. We are a professional, full-service junk removal company serving residences, businesses and governmental agencies. On average, we recycle between 60% and 80% of what we remove. Our uniformed, customer-service focused teams, are fully insured and bonded for your protection and peace of mind. We accept credit cards, checks or cash. 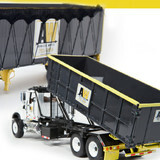 We are a junk removal and hauling company serving the Orange County area. We are a phone call away to give you a free and honest estimate. 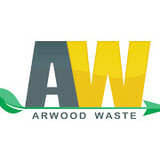 Trash is thrown and dumped everyday, all day in landfills, my company specializes in removing trash and forgotten junk in the cleanest possible way; we proceed to categorize and separate everything we pick up to allocate to different businesses, who will then recycle the material and reuse it in new fabrications. We charge for our services because it costs money to run a business and it also costs money to send the material to the different companies who recycle it. We are all playing an important part in cleaning up our precious planet. Stay Green... We at 911EarthProject consider ourselves a low maintenance experience, we are a phone call away from giving you a free and honest on-site estimate, we will also provide a written copy. The price we give includes all fees and there are none beyond the quote we give you. Declutter your world, give us a call. Innovations Building Services is a full Hospitality, Commercial, Medical and Education cleaning service company. We provide superior service by tailoring our services to the specific needs of each customer and are dedicated providing you with a clean healthy environment so that you can manage your business. We are a team of junk removal professionals who want to help you got rid of any excess stuff and clean up your home! There are full-service junk removal companies in Canyon Lake, CA that help with everything from clutter and hoarding cleanups to appliance recycling to donating unwanted items. Keep in mind that you may need professional help removing certain items from your home, particularly if they’re toxic or unstable. Here are some related professionals and vendors to complement the work of junk removal: Tree Services, Environmental Services & Restoration, General Contractors, Home Builders, Landscape Contractors. Find rubbish removal professionals on Houzz. 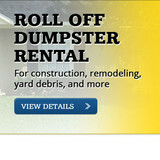 Narrow your search by city or zip code for a list of Canyon Lake, CA rubbish removal services. Get contact information so you can ask about rates, and read customer reviews to find the best rubbish and trash removal service for your home improvement project.